2. Write these in caption: #BackToSchool I want free clothes for two! 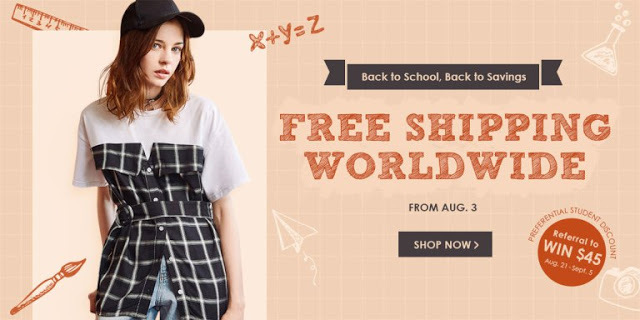 Zaful 16 days free shipping from now. 3. Tag your friend: @XXXXXXX and post your share article link in our event review area. Participate here - zaful word press blog. From Aug 8 ~ Aug 22.